When a driver is arrested for driving while intoxicated in New Jersey, there are many issues that must be sorted out. DWI in New Jersey is not a criminal offense, but a traffic violation. While that means the driver who is convicted won’t have a criminal record, it doesn’t mean that the penalties are in line with a common, ordinary traffic violation like speeding or going through a red light. Drivers who are convicted of DWI will have registered above the legal limit for blood alcohol content (BAC). This is determined by using a breathalyzer test and sometimes a blood test. For drivers over the age of 21, the limit is 0.08%. For drivers under 21, it is 0.01%. For commercial drivers, it is 0.04%. With a conviction of DWI, a driver will have to pay surcharges, fines, have their driver’s license suspended and possibly face jail time. With higher BAC percentages come harsher penalties and the same holds true for multiple DWI offenses. In short, a DWI can wreak havoc on a person’s life. Not having the ability to drive might not be that big of a problem for some, but others need their vehicles for work, school or to take care of family issues. It can end up costing a person a job. This is why it is imperative for a driver to hire a qualified DWI attorney when confronted with DWI charges. One question that those charged with DWI frequently have is whether or not a consultation with a DWI attorney is helpful. In most instances, it is not. The attorney is only going to give a broad based list of services he or she provides along with the rates – flat fee vs. hourly for example. There might be a mentioning of past cases and a brief discussion of your case, but as the defendant you’re definitely going to have a jaundiced view of how the arrest came about and was conducted. Until the attorney is hired and begins to sift through the actual records of the case, it’s difficult to get a gauge on whether it’s going to be possible to win an acquittal. If, for example, the officer made the traffic stop for seemingly no reason whatsoever, then that can be the basis for the entire case being thrown out. New Jersey law enforcement isn’t allowed to stop a car and investigate for DWI just because they feel like it. Or if there were field sobriety tests given and they were conducted on a hilly area or ground that was strewn with rocks or holes, it could be seen as difficult for the subject to have completed the tests without stumbling and looking intoxicated. Perhaps the officer wasn’t certified to give the breathalyzer test; didn’t wait the prescribed 20 minutes of observation time before giving the test; or the machine was not working correctly. Any of these are the basis for an acquittal. However an attorney is not going to know whether this is viable simply be conducting a consultation with the client. 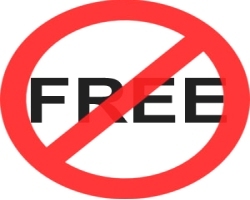 Therefore, the free case evaluation has a limited – if any – use. Of course the meeting with the attorney can serve a purpose. It is a good time to see if it is someone with whom you feel comfortable. The fees can be discussed and if you can’t afford them, you can look elsewhere. You can ask the attorney for references and a history of successful cases to get an idea if this particular lawyer will have a good chance of getting an acquittal. More important than the consultation is hiring a lawyer whose experience and a vast portion of the practice is dedicated to DWI cases. With an attorney who is commonly defending clients arrested and charged with DWI will come a familiarity with various jurisdictions, their police procedures, the prosecutors handling the case and the judges. If the attorney has a relationship with these various entities and people, then there is the chance that an acquittal might be more easily obtained than with an attorney whose caseload is stretched thin. Most legal firms will offer a free case evaluation as they’re hoping to have clients, but for the defendant and even the attorney, this is not a gauge as to whether or not there will be a solid foundation for an acquittal. The consultation is not the most helpful part of a DWI case and should be looked at as a part of the process, not the reason to hire a specific lawyer. You know it is smart to hire the best DWI lawyer for your case. It is not easy. There are many lawyers who will be overly optimistic about your case in order to attract your business. Learn how to be careful and ask the smart questions about your legal situation when hiring a DWI defense lawyer. You want the best results and that comes when you find the best match in your attorney search. 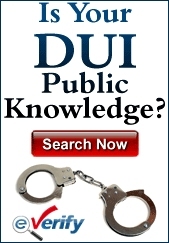 Your source for learning about how to fight New Jersey DUI charges and how to find DWI lawyers. We do not advise any specific course of action. This does not constitute a lawyer-client relationship. You should consult with a lawyer that is familiar with the NJ courts & your individual facts. All information is to be used at your own discretion. NJ DWI HQ can not guarantee or predict any outcome & and has no legal obligation with any decision that you make.